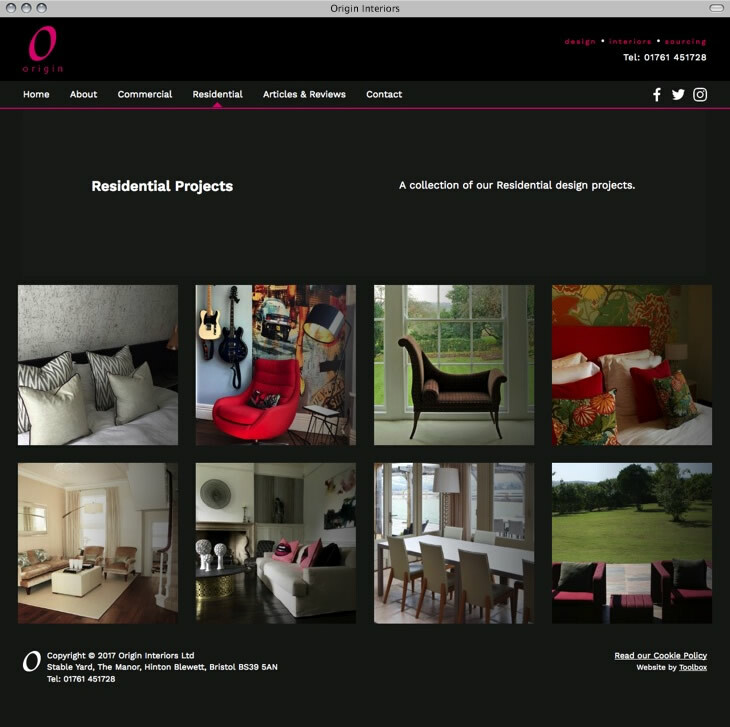 Custom site design for interior design company, Origin Interiors. 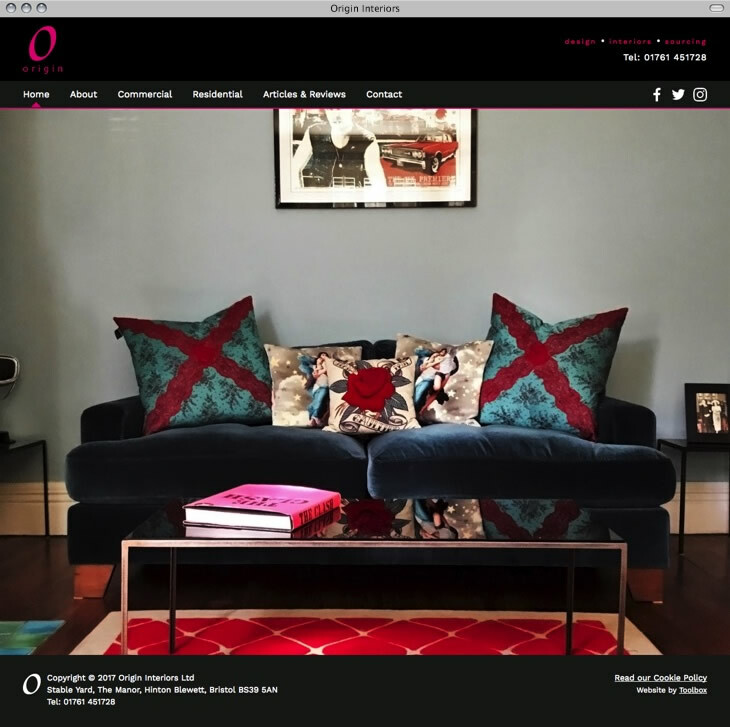 Origin Interiors is an amazing Interior Design company based in Bristol. They provide interior design services to both commercial and residential clients, sourcing unusual materials to use in their projects, with some incredible results. 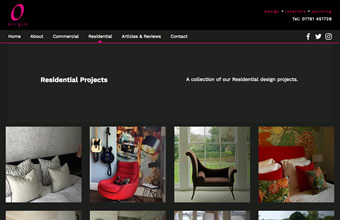 Given the quality of their work, we opted for a visually-led website with little copy, just to really showcase the various designs.